A few years ago, there was a popular book list floating around online with this subtitle: “The BBC believes that most people will have read only 6 of the 100 books below. How many have you read?” The list wasn’t actually posted by the BBC, but was probably inspired by the “BBC Big Read,” a survey conducted to find out Britain’s best-loved books. As I scrolled through the list, I started realizing that though I had been an avid reader my entire life, there were some gaps in my literary knowledge. I mostly stuck to the same genres (hooray for YA fantasy! ), and though I had picked up some classics here and there, I wasn’t nearly as well-read as I wanted to be. Since then, I’ve made it my New Year’s resolution every year to try and read more books out of my “comfort zone.” It’s been one of the best resolutions; I’ve found dozens of books that I wouldn’t have picked up otherwise, and now love. I even started vlogging about some of these classics to further motivate myself to keep up with it. If you, like me, want to 1) finally understand everyone’s references to classics you’re supposed to have read by now, and 2) want to discover some great novels you’ve heard a lot about, but perhaps have never picked up, here’s a manageable list to help you jump-start your reading list for 2016. This novel may be long, but it's worth the work to read it: the story follows prisoner Jean Valjean on a path of redemption, and it's just as inspiring as the musical. The book is chock full of amazing quotes, so you'll definitely need to read with a pen in your hand so you can underline and come back to them later. I read this one a few years back bit by bit, and burst into tears immediately after finishing, partially because it's so. darn. long, and partially because it's just that beautiful. Another thick classic, this story is the ultimate revenge tale. Edmond Dantès has his life ripped away when he's wrongly sent to prison, but he claws his way back up from nothing. The thing about reading large but epic stories is that you feel as if you've been on a real journey with the characters, partly because it'll take you so long to read their tale. But in the end, the commitment is worth it. This dystopian novel follows protagonist Offred, a handmaid in a society where women are only valued for reproductive purposes. Though it's disturbing, it will stick in your mind long after you've reached the thought-provoking end. A coming-of-age story about a second-generation Irish-American girl, this book is sweet and thoughtful and perfect for those who enjoy more uplifting literature. Because let's face it: a lot of classics don't have happy endings. Or happy middles. Or beginnings. If you prefer fiction on the lighter side, but still want something with substance, this is the read for you. If the last time you read Orwell was in high school, it's time to break out this iconic dystopian novel, if only to compare texting to Newspeak. While The Kite Runner is an excellent novel, Hosseini's book A Thousand Splendid Suns is told from the perspective of several women. It's an emotional journey that will transport you to another place and inspire empathy for the lives of characters Mariam and Laila. I'm constantly surprised at how often Austen's works are labeled as simple romances. While her novels certainly deal with romance, the No. 1 thing I think about when someone mentions Jane Austen is her sharp wit and harsh critique of people and their quirky behaviors. While Pride and Prejudice is without a doubt her most famous work, I think Emma best showcases Austen's witty and critical literary voice, and is definitely worth a read. If you've seen this book referenced everywhere but haven't yet cracked it open, take time this year to give it a read. It's short enough to read in an evening or two, and has many intriguing and relatable quotes. When it comes to books, if you're all about the prose, pick up this modern classic by Ian McEwan. You may have seen the film, but whether or not you know the ~twist~, the book is still worth a read, simply for its beautiful, imagery-laden prose. Never read any Márquez? Now is the year to dive in and embrace another author known for beautiful prose. This magical realism novel centers around the Buendía family. For anyone working at becoming more well-read this year, this novel is a great place to start. Read this classic before the film adaptation comes out! Just kidding. Author J.D. Salinger was pretty stubborn about denying film rights for this book, and once you read it, you'll see why it's not going to be a movie anytime soon: this is a story that's perfect for print. Renew your appreciation for the written word in a time when everything is "soon to be a major motion picture" by reading (or rereading) The Catcher in the Rye this year. If you're looking for motivation this year, look no further than The Remains of the Day. This story about an English butler looking back on his life is emotional, darkly pensive, and will inspire you to embrace every opportunity you're granted. Another classic in the magical realism genre, Toni Morrison's award-winning novel Beloved has consistently been included in must-read lists. If you've yet to pick up the book, make 2016 your year to add it to your TBR pile. So, you want to read some classics, but you're looking for something a bit... shorter? The Little Prince is the pick for you. Though it's short, it's also dense, and you'll find plenty of inspiring quotes and thought-provoking material. Plus, it was recently made into an animated film, premiering in the U.S. this year (not kidding this time, this one has been made into a film for real!). So, time to read the book before you head to the theaters! Feeling particularly motivated this year? Try taking on the complete works of the author who invented a bunch of words and storylines still in use today. 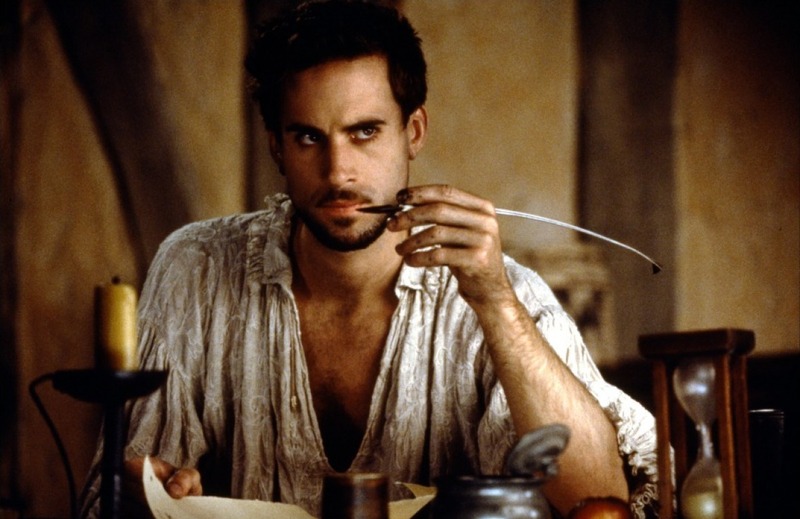 From the sonnets to Romeo and Juliet, the bard's work will keep you busy for a while. Bonus points if you act out the monologues as you read them.